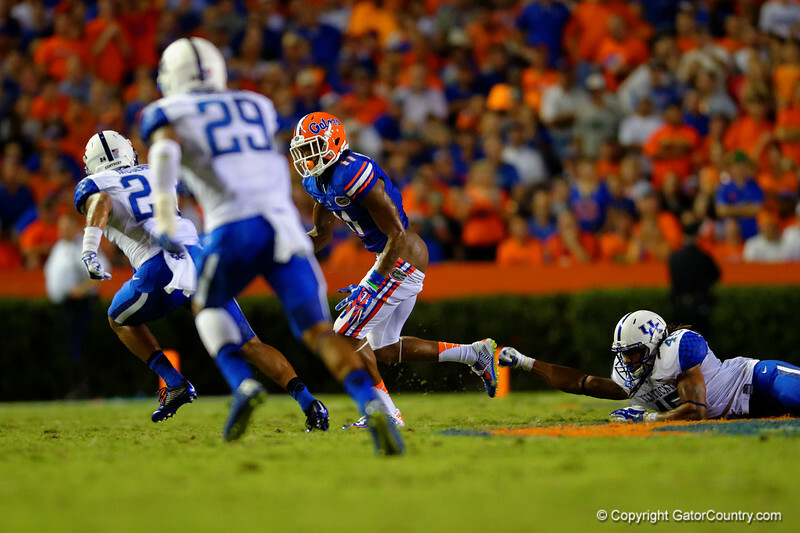 The Florida Gators hold off the Kentucky Wildcats 36-30 in triple overtime. The Florida Gators hold off the Kentucky Wildcats 36-30 in triple overtime in their SEC opener. Florida Gators wide receiver Demarcus Robinson races downfield after making the catch and having his pants pulled down. Florida Gators vs Kentucky Wildcats. September 13th, 2014. Gator Country photo by David Bowie.